At harvest, usually the months of May or June, grain must be cut with a sickle, gathered into bundles, and then pounded and threshed to separate the chaff from the grain. 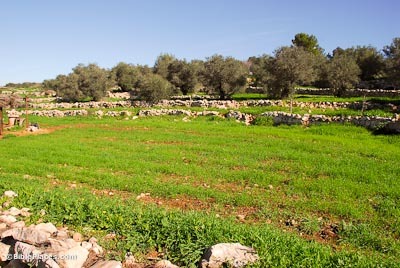 Threshing of wheat, typically done in flat areas, is a symbol in the Bible for judgment (Micah 4:12). Once the wheat is threshed it must be winnowed, the sorting of worthless chaff from the useable grain. The wheat is thrown into the air, and the light chaff blows away while the heavier grain falls. The winnowing of wheat, like threshing, is used to represent God’s judgment of sin (Matt 3:12; Luke 3:17). 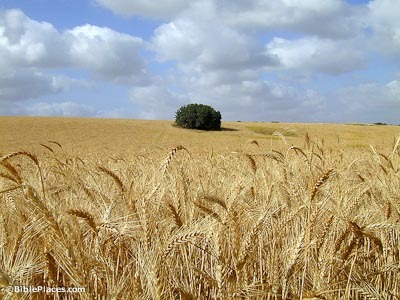 Weather is especially crucial to wheat’s prosperity between Passover and the harvest at Shavuot. If it rains before the crop is harvested, the kernels fall to the ground and the crop is ruined. God was the giver of the timely rain that the Israelites needed. If they obeyed, the wheat crops would prosper; if they disobeyed, rain would not fall or it would fall at the wrong time destroying their crops. The severity and wickedness of Israel demanding a king in 1 Samuel 12:16-19 is seen in God’s sending rain at wheat harvest time. Because of its usefulness, it is not surprising that grain was one of the first crops to be cultivated. 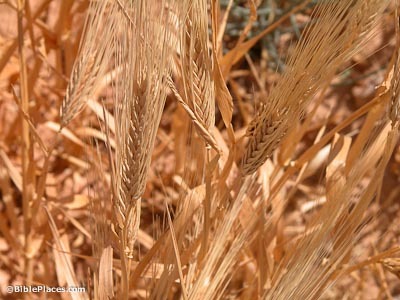 The grain is useful for making flour, cereals, porridge, and can even be eaten raw. The grass can be used as food for cattle, for building material, or woven into mats and baskets. The chaff, however, is utterly worthless and must be separated out from the grain. 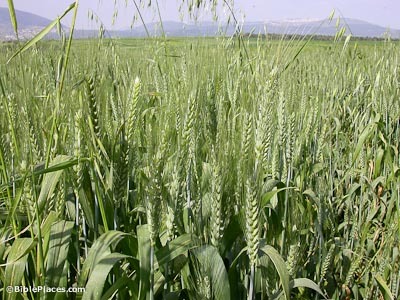 With the best kernels being kept to plant the next crop, the quality of wheat has greatly improved over the millennia. 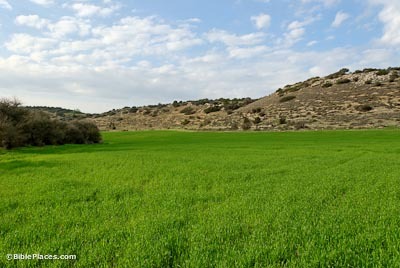 Two varieties were common in Israel in biblical times, emmer and durum. Durum, also known as the bread variety, is not hulled and flourishes in warm temperate climates. Emmer, a hulled variety, can be stored for a long time, but takes a great deal of processing to be useable. It is considered inferior to durum. 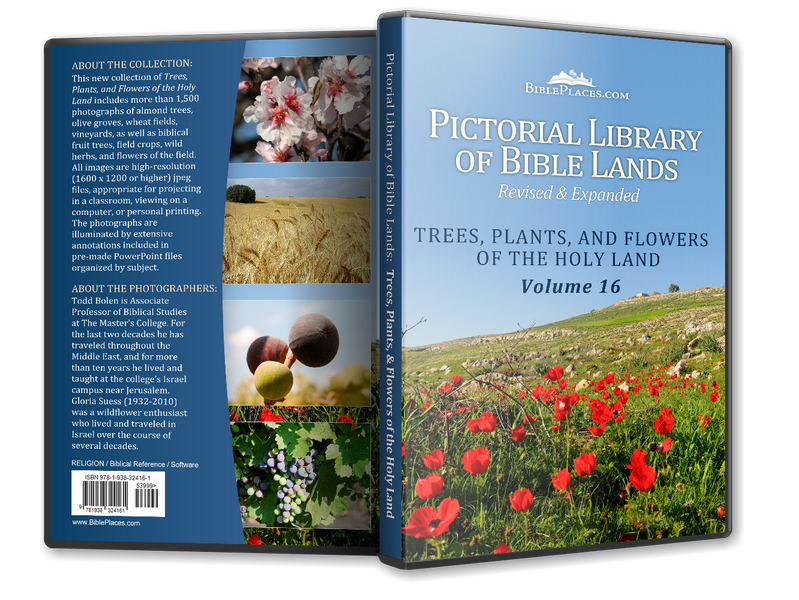 “My people will sow wheat, but will harvest weeds. They will work until they are exhausted, but will get nothing from it. They will be disappointed in their harvests because the Lord will take them away in his fierce anger” (Jer. 12:13, NET). 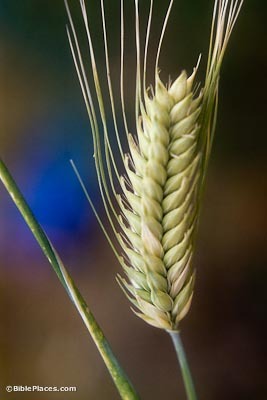 A member of the annual grass family, each stem of wheat has an ear at the end. The ears contain seeds or grains. The outer layer on each seed is the bran. In whole-wheat flour, this bran, along with the germ, are left and ground into the flour. Chaff, which surrounds the grain, is useful for protecting the kernels but must be removed for the grain to be usable.